Mark Sargeant insisted banks and other capital providers are interested in the tool AUTOMAP Tracking Solutions offers: a product that can reduce the time it takes to complete an audit to minutes instead of days while mitigating risk. Here’s boiler plate of what AUTOMAP can do: A device is inserted into the on-board diagnostics (OBD) port inside the vehicle. Through Bluetooth technology when dealership staff members have an app running on their smartphone, information about the vehicle, including location, odometer reading and more, can be uploaded to a cloud server. Authorized users from a finance company can review details about all the vehicles in store inventory that are connected with that floor plan through data updated each time someone walks the lot. 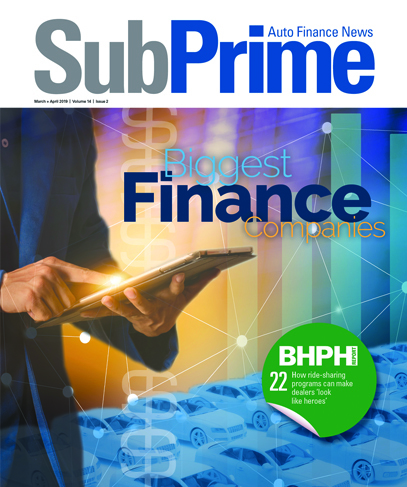 Sargeant pointed out that AUTOMAP’s devices are different than GPS-driven solutions finance companies often leverage when booking contracts with deep subprime customers. The OBD device needs to communicate with the smartphone app, but Sargeant insisted the tool can differentiate between the vehicle and a spoofing devices because AUTOMAP spent nearly three years in development. “We had to start from scratch,” Sargeant said. “Security has been very tight, and that’s why we built this from the ground up with security in mind. AUTOMAP didn’t start to market its product until earlier this year. So far, a trio of pilot programs are underway with a handful of dealerships and finance companies. But the company is in discussions with a host of other institutions as well as audit providers and wholesale auctions about how its tool can streamline the process, eliminate the potential for fraud as well as mitigate risk. More details about the product can be found at the company’s website or by viewing the video at the top of this page or here.